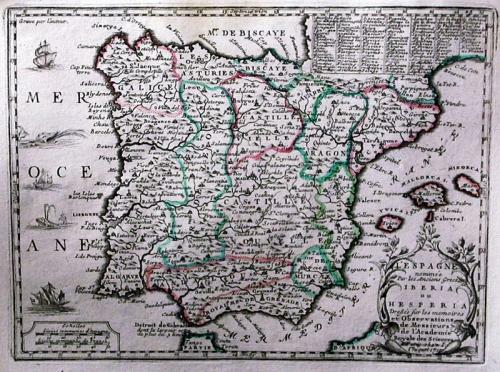 A map of Spain and Portugal with the former divided into thirteen provinces. Three galleons and two sea monster decorate the Atlantic ocean. In the top left hand corner is the statement 'Grave par l'auteur'. In the top right hand corner is a list of Kings of Spain. Unusually, included with the map is an additional explanatory sheet of the engraving.